This article was originally produced for Tax Journal on 4 May 2017. Claire Hooper and Chris Sanger (EY) assess the state of play following enactment of the (truncated) Finance Bill. With a general election called for 8 June, the government was faced with the need to pass a Finance Bill before Parliament was dissolved in order to ensure, for example, the continuity of income tax. The key question for the government was what should be included in Finance Act 2017 and what should be left to a post-election bill. In the event, on 27 April 2017, the Finance Bill received royal assent, becoming Finance Act 2017. A series of amendments, published on 25 April, shortened the Bill significantly, removing a number of contentious or complex measures. 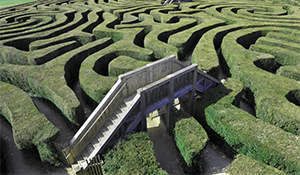 penalties for enablers of defeated tax avoidance schemes. The provisions introducing the rules on optional remuneration arrangements (salary sacrifice) provisions and reforming the so-called 'IR35' rules for off-payroll working in the public sector remained in the Bill and were enacted, as were the provisions on overseas pension transfers and foreign pension scheme payments. These measures will come into force as planned. There were also, however, a number of amendments to the text of the Bill, which were reflected in the final legislation enacted. These included an amendment to the off-payroll working in the public sector provisions to restrict the definition of public authority. Another amendment seeks to ensure that pensions provided by employers through certain types of overseas pension schemes remain exempt when provided as part of an optional remuneration arrangement. The amendments do not extend to the provision of death benefits. The expectation is that most, if not all, of the provisions dropped from the current Bill will return in a Bill after the election, regardless of who wins the election. In the course of the debate on 25 April, the financial secretary to the Treasury stressed that there had been no policy change in respect of any of the clauses that had been cut from the Bill and that those clauses made a significant contribution to public finances. She said that the government would legislate for the remaining provisions at the first opportunity (assuming that it is re-elected). We understand that the Queen's Speech will take place on 19 June, after the new Parliament is formed, leaving a very limited time for any new Bill to be debated before the summer recess on 21 July. Were the new government to follow a similar timetable to Finance Act 2016 (which started its committee stages on 27 June 2016 after the Brexit vote), the third reading and subsequently royal assent might occur in September. While it may theoretically be possible for the government to push for royal assent before the summer recess, the timetable for this would be very tight and would limit any discussion of the legislation. When will the 'deferred' provisions have effect? It remains unclear when, assuming that the provisions are brought back in a subsequent Bill, those 'deferred' provisions would then have effect. Some provisions (the restriction on the dividend allowance and the changes to the taxation of termination payments) were only due to come into effect from April 2018 and can be expected to apply on the same timeframe. However, other provisions were due to have effect from 1 April or 6 April 2017 and it is not clear whether those commencement dates will be maintained. No ministerial statement has been issued in this regard and, with the general election looming and the 'purdah' period having commenced at midnight on 21 April, ministers may not feel able to clarify the commencement dates for the deferred provisions at this time. In theory, this might be clarified in the Conservative party manifesto. Taxpayers are therefore left not knowing whether, even if the Conservative party is re-elected, any subsequent Bill will retain the intended commencement dates (accepting an element of retrospection, see below) or will delay the start dates for any of the provisions that have been cut. It is possible that the answer could be different for different provisions. It is also worth bearing in mind that the revenues from a number of measures have been included in the public finances for 2017/18 and beyond. The interest restriction rules were re-forecasted in Budget 2017 to bring in an extra £1,105m for that year, with the loss relief rules due to bring in an extra £495m for the same period. A delay in commencement even until 30 June (the end of the first month of the new government) would, on the Treasury's forecast, cost around £400m. The budget resolutions of 14 March 2017 lapsed with the dissolution of Parliament on 3 May. To the extent the decision is taken by a future government to introduce any of the 'deferred' provisions from April 2017, this could be seen as being retrospective taxation. 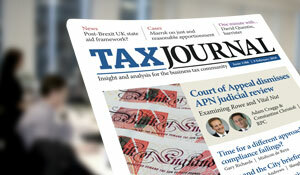 As discussed in the judicial review case of Huitson, retrospective tax legislation is not prohibited as such. What the European Convention on Human Rights requires is the 'fair balance' principle: in securing the payment of taxes a national authority must strike a fair balance between the general interests of the community and the protection of the individual's fundamental rights, including the right to possessions. Parliamentary convention on retrospective legislation is to be found in the 'Rees rules', put forward in 1978, in the context of tax anti-avoidance provisions and the time from which they should have effect. Subsequently, governments have given advance warnings of retrospective legislation which would apply to schemes with a similar purpose to others which had been legislated against. At Budget 2011, the coalition government published the Protocol on unscheduled announcements of changes in tax law. The protocol states that 'changes to tax legislation where the change takes effect from a date earlier than the date of announcement will be wholly exceptional'. In the cases of the 'deferred' provisions, these were of course announced before the date they were due to have effect, through the publication of the initial Finance Bill on 20 March following consultation. The government may therefore feel entitled to take the view that a commencement date of April 2017 for the interest and loss provisions meets the fair balance principle and follows Parliamentary convention, even though the provisions in question do not address 'tax avoidance'. Alternatively, the government may choose to defer the commencement date. Given the possible financial budget implications, it is unlikely the government will want to defer the interest and loss provisions too far and so these could have a commencement date of 1 July 2017. This remains speculation until the new government is in place. There should be fewer concerns to maintaining previously planned commencement dates for relieving or clarifying legislation (such as the changes to the anti-hybrid rules) or indeed anti-avoidance legislation. More detail should be available once the new government gives details of its legislative programme in the Queen's Speech on 19 June. Accounting: For businesses preparing full year or interim accounts, the measures relating to corporate loss relief and corporate interest deductibility will be neither 'enacted' nor 'substantively enacted' at 30 June. The measures cannot therefore be taken account of in calculating current or deferred tax numbers at that time. However, given that the measures are, it seems, likely to be enacted and take effect in 2017 (quite possibly from the original April date), businesses may wish to disclose the possible impact of the anticipated measures. Quarterly instalment payments: Businesses may wish to consider whether to factor in the potential interest and loss changes to be reintroduced in a subsequent Bill when making any instalment payments. Given that the instalment payments are ultimately measured against the final tax liability for the year (which could reflect the interest and loss changes once enacted), there may be an interest exposure on underpayments. December year ends may know more before their first payment is due. Transactions: For businesses hoping to take account of the changes to the substantial shareholding exemption rules, the absence of the changes to the exemption causes practical problems. While the changes may be backdated to 1 April, this cannot be guaranteed. Accordingly, where possible, businesses will need to test their entitlement to exemption under the existing rules. Non-dom individuals: Given the ongoing uncertainty around the rules, particularly the commencement date, there may be an argument for considering the postponement of certain actions (such as remittances or contributions into settlements). However, it may be beneficial to continue the analysis of any mixed funds, since the timetable may remain the same to address these accounts. Individuals may also wish to review their bank accounts to ensure that any income arising from 6 April 2017 would not taint clean capital should the commencement date be delayed. Individuals (whether or not UK resident), partnerships and trustees with offshore interests may wish to continue to review their position in advance of the 'requirement to correct' rules being introduced, especially if the September 2018 deadline is not to be deferred. Money purchase annual allowance: Here, affected taxpayers may prefer to work on the basis of the new, lower annual amount, with the possibility of additional contributions if the higher limit is maintained for 2017/18. It is unlikely that we will receive any greater clarity or certainty on commencement dates until after the June election. However, in particular cases, especially transactions, taxpayers will need to assess the position under both the existing rules and proposed new rules, with the aim of taking a position that, as far as possible, satisfies both options. This is not ideal and it is to be hoped that the next government will move quickly to resolve the uncertainty.